For those of you in Houston during the PMI meetings in March, please join me for my presentation on "Multitasking - A True Path to Career Advancement?" I will be presenting during the pre-meeting. The article here covers a lot of the same material, but my presentation will cover tactics and techniques, as opposed to just a list of benefits. 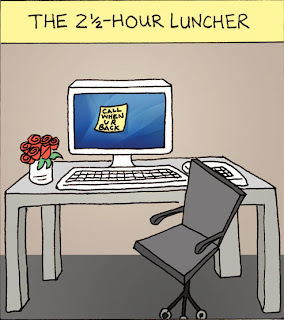 The truth is, that multitasking is a scary fallacy. Human beings CANNOT Multitask, as much as my wife will argue differently. What we are really doing is rapid task switching (and believe it or not, woman are usually better at it then men). We only perceive that we are doing 2 things at once. My generation and younger were raised on distraction. TV, video games, computers, cell phones... all of them vying for attention. Today it is only worse. Think about it: Laptops, netbooks, tablets, GPS, Instant Messenger, cell phones, smart phones, MP3 Players, Ipods, Ipads, Iphones, and ALL OF THEM SCREAMING FOR YOUR ATTENTION. Little wonder we feel pulled in a hundred different directions most days. So what's the worst that can happen? After all, how do you get to Carnegie Hall? PRACTICE! Here's the problem, you don't get better at getting things done with practice of multitasking. Instead, you get better at being distracted, you loose focus! I'll give one example that isn't in the article. I think it is safe to say we all would agree that using your phone in the car while driving is multitasking. Car and Driver in 2009 ran a test. They had an editor run a course at 70 mph, sober. At the end of the course he needed to stop based on a signal. He then ran the course legally drunk. It took him 4 extra feet to stop. When the same editor sobered up he ran the course again. This time he was reading an email on his blackberry. The driver needed 36 feet more than the initial stopping distance! The final run of the course, he was actually composing a text. Can you guess the final stopping distance? 70 FEET when going 70 mph! So, the next time you are in a meeting and you reach for your phone, stop and think about it. Do you really want to be worse than DRUNK in that meeting? I didn't think so. 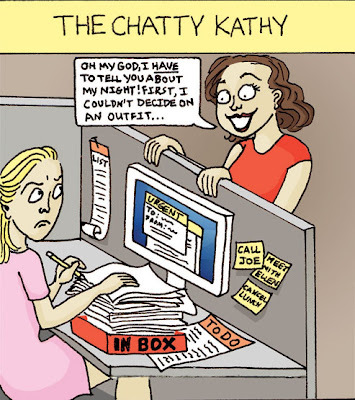 So which type of Co-Worker are you? This is the last weekof posting co-workers who are oh so much fun at work. 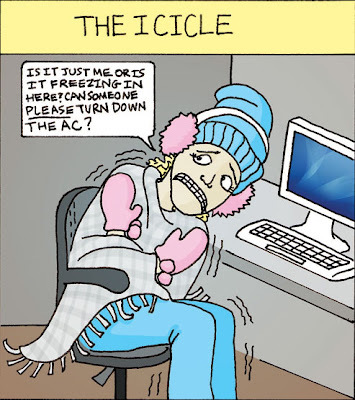 Last week was the Icicle and this week is the 2-Hour Lunch Break! Let me know what you think! Continuous Improvement seems to be one of those catch phrases for Leaders. Between Kaizen, Pareto, Six Sigma, TQM, and all the other systems out there I would imagine most business people are probably trying to provide as little thought as possible to improvement. Or if they are it's probably pretty close to: "I believe that we can leverage our expertise along with a drive toward continuous improvement through (TQM, Six Sigma, whatever) to establish ourselves as a niche player in blah blah blah blah..." I can almost see the pointy haired boss pointing at a PowerPoint slide. Can't you? The problem is that Continuous Improvement shouldn't be a catch phrase. If anything it should be the goal of a leader to constantly improve; whether it is self improvement, environment improvement, or employee improvement. However, too often we as leaders find ourselves putting out fires and being acted upon rather than causing the action. So this brings me to "Nothing is EVER Perfect!" Think about it. Do you know everything you want to know? I'm hoping you answered no. So what do you need to do to improve? Read, experiment, learn, volunteer, get out of your comfort zone. These are ways to improve (self-improvement). What about with your team? Where are they spending the most time? Are you certain? Think about it, where is your team spending 80% of their effort? It's probably on only 20% of the activities and tasks you want them to spend time on. Is it the right 20%? Now that you know the answer to these questions, perhaps you should be redefining which tasks are the important 20%. Or more importantly, how do you make the 80% of the time easier for your team, so that maybe they can spend more time on something that isn't always on fire? Now that would be a true IMPROVEMENT (environment improvement)! Just one quick example from the PM world (one I actually experienced). When a manufactured item is delivered to the customer, usually a Bill of Material or Packing List is delivered with it (unfortunately, I cannot always say "is" instead of usually). What happens when the Packing List says "Misc. Items" for a box? Does the customer know what's in it? Can you prove later that what was in the box was really in the box? This should be a moment of recognition that the process can be improved! Talk with the shipping/packing department and WORK WITH THEM to address the issue (don't just yell at them or drop it in their lap and tell them to fix it. As a leader you need to stay involved, otherwise the fix will never be Commanded or Completed). Once it was fixed, I spent less time tracking down pictures of material in crates and guessing what each item was and more time releasing the invoices because the customer accepted the item! Finally, look at your team as individuals. When was the last time you talked with them about their career path? Or maybe what type of training they would like to attend? Or certifications they need to help their career (and your office, of course)? Or maybe just a good white paper or professional book? A lot of times, a leader will need to push their team to improve. If you don't then they will often get wrapped up in the day to day of life. Unfortunately it is that day to day that can sometimes cause you to miss your goals! Push your staff to improve, it will only help you in the end (employee improvement). Continuous Improvement doesn't have to be a catch phrase, and it doesn't need to be a monotonous presentation set with PowerPoint. As with so much of leadership, it is the actions that matter; not the pretty pictures and language we see and hear. So start moving! P.S. Sorry I snuck some Pareto in there. I couldn't help myself! 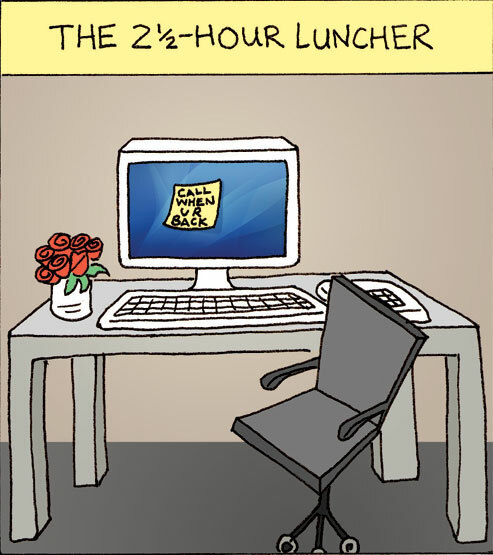 So which type of Co-Worker are you? 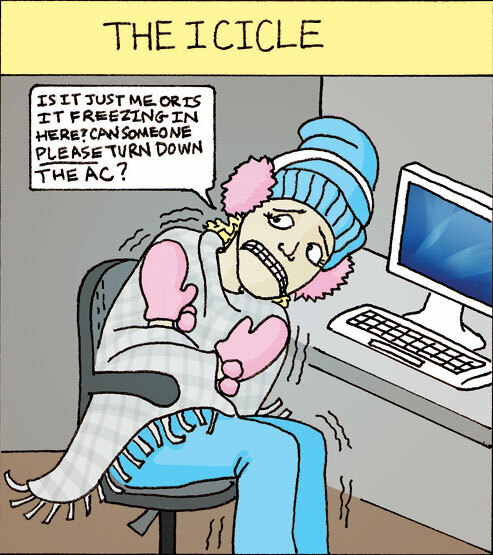 Over the next 2 weeks, I will post a cartoon each Wednesday with a different co-worker who is oh so much fun at work. 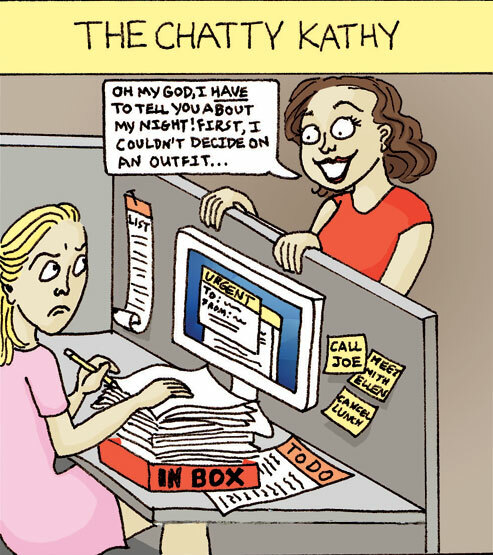 Last week was Chatty-Kathy! Let me know what you think!